So I was originally going to post about how to transition your look from summer to fall since the weather was getting cooler, buttttt it didn't. So ya girl was stuck in 80-degree heat with this outfit. #Dumb, I know. Either way, it's still a pretty snazzy outfit if you ask me. And when the weather does decide to turn, you better believe I'll be wearing this again. This plaid shirt was a great purchase from J. Crew Factory last year. I've worn it more times than I like to admit, but what are you going to do about it. This jacket has the same story line. 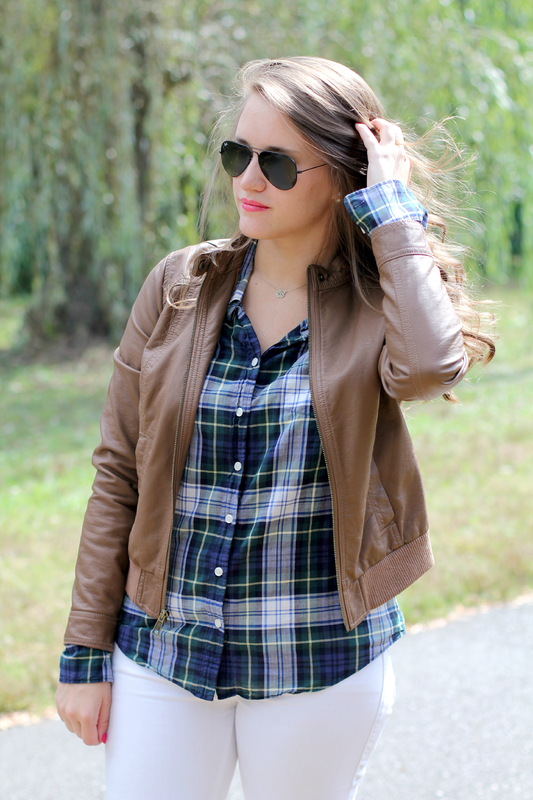 I scored this Old Navy jacket a few years ago and it's been a huge fall staple for me since. I actually had this jacket in one of my first blog posts (that are now hidden because they're hideous). And of course I'm still wearing white pants. "Will she ever stop?!" No, probably not. Probably never. I love them, they go with everything, and they're white. So your point is invalid. Can you tell I'm in a weird mood writing this? I always love getting in these moods because the writing comes so naturally to me. But to make sure not to bore and/or ramble, I will leave you here. See you tomorrow friends. 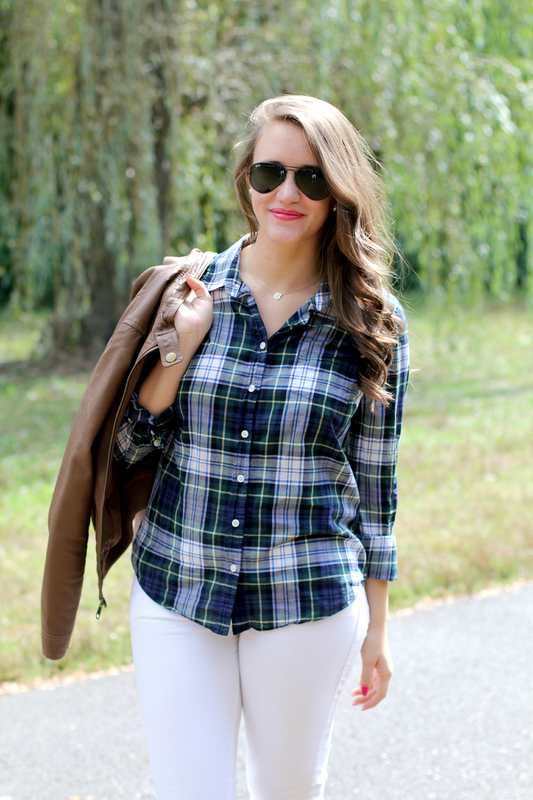 I need to get a good plaid top for fall! I love yours and how you styled it!